Your family is important and so is your home and your personal belongings. That’s why when it comes to choosing a residential security film for your Fort Worth home, you want to make sure that whatever option you decide on is the right choice. Quality, aesthetic appearances, and the lifetime of the film are all things that should be considered. At Fort Worth Window Film, these types of matters are our speciality. We are experts when it comes to window tinting products and know about all the latest advancements and innovations. We’ll work closely with you to find a window film that meets all your home security needs, whether it’s break in protection, privacy, or even energy efficiency and also matches your aesthetic preferences. 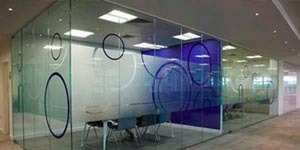 Window film is a very versatile product and comes in a variety of styles and shades. Different films also offers varying degrees of security. Some of the most common applications for residential security window film are break in defense, glass strengthening, and privacy, but it can be used for a wide range of purposes. 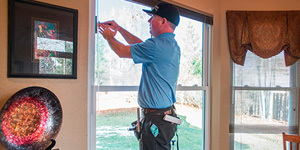 Storm Protection: Severe weather can damage your windows. Objects or debris swept up in strong gusts of wind can severely damage your windows. Window tint protects against the natural elements by minimizing damage from broken glass. Glass Strengthening: Glass contains natural imperfections that make it prone to shattering. C-bond window film primer eliminates glass defects, helping to make your windows more shatter resistant. Solar Benefits: Just like your skin, your home needs protection from the sun. 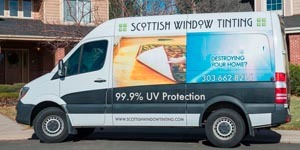 Window tint helps prevent sun damage by blocking out 99.9% of uv rays that cause fading. Privacy Benefits: Privacy can be hard to come by in today’s modern world. Window tint provides a solution for creating privacy for your home by blocking exterior views. 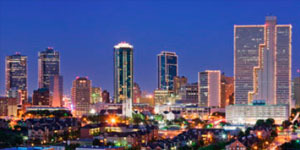 Break-in Protection: Break ins are common in many of Fort Worth’s older neighborhoods and the downtown area. Window tint helps defend your home from burglars by creating an impenetrable barrier for your windows. Tempered Glass Alternative: If you have windows near your outdoor pool or shower area that require strengthening for safety reasons, window tint provides the perfect solution. Window tint offers an alternative to tempered safety glass and works just as effectively. 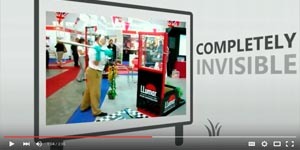 3M creates some of the most innovative security films existing on the market. 3M Safety & Security Films provide advanced and affordable protection, guarding your home from unforeseen dangers, accidents, and intrusion. Protecting your home from the dangers of the outside world is easy with Llumar Safety & Security Film. Llumar Security Films create an invisible barrier for your windows that protects against impact and forced entry. Huper Optik window films provide an optically clear and optically safe solution for protecting your home. Huper Optik films improve glass clarity, enhance window views, and minimize the risk of damage and injury from glass destruction. 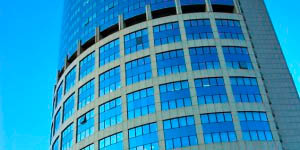 Madico offers a whole line of security window films that can be used for residential applications. Madico SafetyShield window film protects against unpredictable dangers and minimizes hazards by creating a thick shield for glass fragments to adhere to. Hanita SafetyZone window films employ the latest security window tinting technology to protect and defend vulnerable glass surfaces against impact, intruders, and extreme stress conditions. 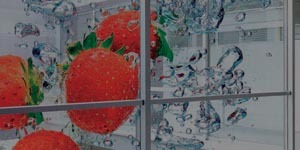 Hanita SafetyZone films strengthen and reinforce glass for added shatter resistance. Solar Gard is one of the few energy saving films that also doubles as a security system. 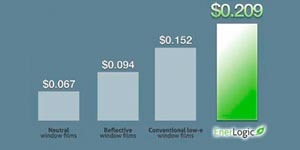 Solar Gard films reduce household energy consumption and protect glass doors and surfaces from being broken or shattered. Your home is your haven, a place where you should always feel safe. Get the advanced protection your home needs with residential security window film. Call Fort Worth Window Film today to schedule your free home security consultation.